The holidays are upon us! And, if you are anything like me, and I am sure you are, getting into the holiday spirit is about as hard as getting out of bed….maybe even a little harder. Being chronically ill is never an easy feat, and the holidays makes it worse. What can you do to “catch the magic” when you just really don’t have it in you to make the attempt? Fake it till you make it is a mantra that we have all seemed to have adapted to in this new, chronically awesome, lifestyle. I am going to include some tips to help you get into the holiday spirit in this blog, as well as some of my personal favorite ways to catch the spirit. Use them, share them, adopt them into your holiday traditions. I promise, at some point, you will catch just as much spirit as you need to make your holidays as happy and as bright as ever! .....there's just something about the magic of Christmas through the eyes of a child that will forever put me in the Christmas spirit, even if it takes me just a little longer now because of this disease. The sparkle in his eye when he sees the Christmas tree and all the lights, the way his eyes light up when he sees Santa, the excitement every day when he tells me how many more days until Christmas, the chocolate surprise inside his Advent calendar...everything about Christmas, he just loves it! Just the same way I did as a child. Last year, after I was diagnosed with Lyme, I thought I lost the spirit, I was so sick and didn't have the energy to decorate, do any of our holiday traditions that he and I have developed together as Mommy and son. I knew I had to, but the question was, how? How was I going to pull it together? This year, I found myself in a very similar mind frame. My health seems to be in a stagnant place, having many more bad days than good, and, again, I've found myself going through the motions just as I did last year. But, again, I needed to pull it together for him. I can't let this little guy down, EVER, no matter what, and especially not at Christmas! So, once again, I pulled it together; one foot in front of the other, one step at a time. Yesterday, I dragged myself out of bed so we could have breakfast with the Big Guy. I felt terrible, a huge brick laid in my head, lead in my arms and legs...but I made it. As soon as Santa arrived, and I saw that sparkle in his eye, and the excitement bursting throughout his body as we inched closer and closer to this larger than life figure, and for the first time, I started feeling it too----I caught the fever---the Christmas spirit! It took weeks, and going through so many motions and emotions of how am I going to do this? How am I going to pull this off? and in just an hour and a half, and through the brightest blue eyes of my 6 year old, I finally caught the spirit! I've always loved Christmas, and now, because of him, I love it so much more! No matter your cultural beliefs, or your religious preferences, there’s just something about holiday light displays and decorations that warm the heart. The colors, the time and effort taken to set up these beautifully decorated homes and light displays are inspiring, even breathtaking, Take in the wonder. If you cannot walk long distances, take a short ride through your neighborhood, or research online for drive-thru light displays in your community. Your local library, church, or even recreational department should have all the details! Grab a few friends, a warm drink and head out for some light fun! This is one of my all-time favorites…...leaving the house, or bed not required! 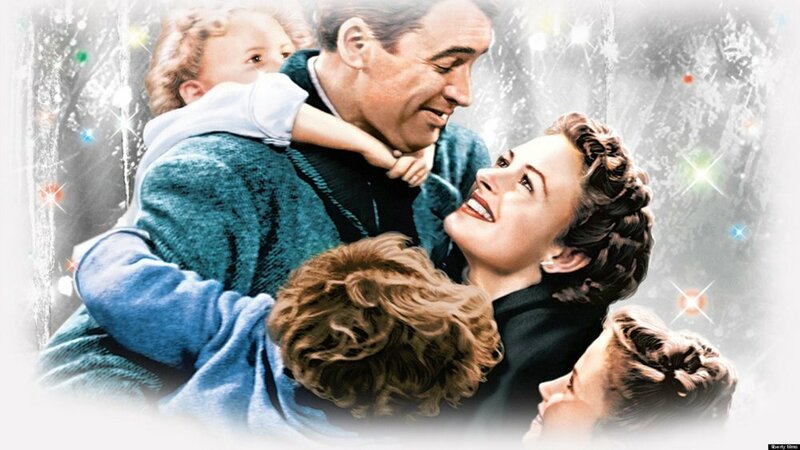 The Hallmark Channel on your local cable can certainly be guaranteed for a tear-jerker or ten for some great holiday movies. A sucker for the classics? Netflix has loaded up with some great ones! Frosty the Snowman, Rudolf the Red Nosed Reindeer, It’s a Wonderful Life and so many more ready to queue up! Grab a warm blanket, your favorite pillows and snuggle up...keep the cold temperatures outside, while you stay warm inside with your favorite binge movies all day/night long! Do not….I repeat, DO NOT skip out on the decorations! If you are unable to decorate, grab a friend or family member. Last year, I almost skipped out on decorating because I was too sick, and just wasn’t in the mood. This is the biggest mistake EVER! Get out the tree, pull out the menorah, hang a string of lights in your favorite color, whatever it is, and how simple it is, just do it. I promise, this will help! A change of scenery is sometimes the best medicine--and all you need to get into the spirit----don’t skip the traditions! If you are feeling well enough, even for a day, try to volunteer in your community doing something that you enjoy. There are so many things that can be done, especially around the holiday season, that can make a difference…. Toys for Tots drives, local food banks, shelters, church groups, Salvation Army gift wrapping at the local mall or store, etc. Check your local community websites for details, or the local library is a great resource for volunteering opportunities. If you are like me, and are fortunate enough to have children, or be around children on a regular basis, you know just how exciting this time of year is for them...the sights, the smells, the sounds, the gifts……. everything about this season is awe-inspiring for children! Their eyes light up, like Christmas trees (pun intended) and that sparkle lasts far beyond the season. This takes absolutely no effort……. just sit back, and watch their excitement, see their “glow,” their constant state of happiness. Watch long enough, and you’ll feel it too…. watch out, it’s highly contagious! Don’t isolate. Chronic illness is isolating and lonely within itself, make the holidays different! Remember, “fake it till you make it”? If you are invited to spend some time with your family or friends, GO! Or invite them over. Even if it is just for a short time. Enjoy the ambiance, share a story or two with your family. Change the scenery, even for that short amount of time. If you don’t have the opportunity to be able, that’s OK too. Connect with your community of other Lyme Warriors online. Just don’t isolate! Promise yourself you won’t. Make post-it notes as reminders and stick them everywhere...you will thank yourself for it! I promise! Stream your favorite holiday music playlist! Or, hell, any music that reminds you of your favorite holiday traditions. Whatever it is, you’re sure it find it these days on any of the multiple arrays of music outlets available to us--Spotify, ITunes, Pandora, YouTube…..the list goes on and on! Music is soothing to the soul. Light a candle, turn on your holiday lights and step in that detox bath……..ahhhhhh relaxation! The holidays are the most stressful time of the year, and they should be the most enjoyable time. We all know what stress does to the Lymie’s body----so, above anything else, don’t stress! Know your limitations, take it easy, and do what you can to just simply enjoy and catch the spirit in your way. Last, and certainly not least….and probably the hardest of all…count your blessings! I know that this one is strange to see on a blog about catching the spirit, but, go with me on this one…..this one is the toughest of all. When you are chronically ill, and trying to catch any type of holiday spirit you possibly can, counting your blessing is especially important. As hard as it is, look on the positive side of things. Look at the progress you have made, no matter how little; look at what you have accomplished last year vs. this year; appreciate the small blessings, they will turn into larger blessings one day. You are a WARRIOR. You have come this far, and there is no turning back, the only way from here is UP! Happy Holidays to all of you! Big gentle hugs coming your way!